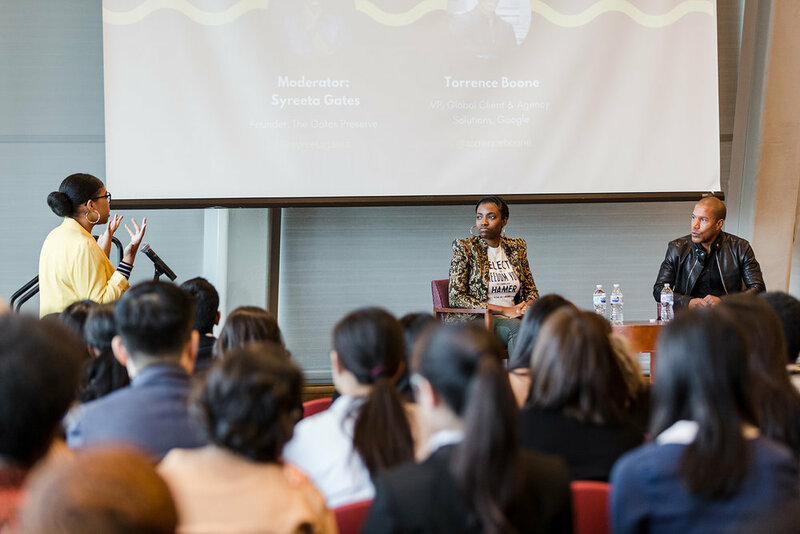 Our 1st Annual Diversity+Media Career Summit in partnership with NYU Wasserman, was a resounding success. More than 200 students from over 30 colleges and universities were represented. Students had the opportunity to hear from top executives and professionals from Google, Discovery, HBO, TLC, Nielsen, NPR, and The Mayor’s Office of Media & Entertainment. Advice ranged from learning how to find a mentor and use their help to further your career; how to disrupt bias and show people how to effectively work with you; how to advocate for yourself and show off your accomplishments in the right setting; knowing the difference between micro-inequities and micro-aggressions; and most importantly, understanding how to build relationships, maintaining those relationships and leveraging those relationships as you grow your career. Suffice to say, everyone left on a higher level than when they first arrived. Huge thanks to our speakers Syreeta Gates, Torrence Boone, Jacqueline Peros, Nikki Bethel, Wendy Douglas, Angela Talton, Savalle Sims, Eric Deggans, Kameka Dempsey, Antoinette Miller, and Lawrese Brown. Their honest, open and engaging conversation and advice invigorated the summit and truly inspired everyone that was in attendance. Check out our Instagram and Facebook for more video, clips, and photos from the event. Thank you to our partners at NYU Wasserman.